Bridgwater and the surrounding district area of Sedgemoor continues to be dominated by claims regarding the benefits of the HPC monies. This is money the community received as part of the planning process; will it actually be a tangible legacy? The litmus test might be an imaginary HPC plaque similar to the blue ones put on buildings remembering that famous people were born or lived there. In a generation or so could we take our children around the district pointing to things that we got because of HPC? The answer is probably No. HPC has for Bridgwater and the surrounding area been like winning the lottery and like many winners the win has been frittered away on things that would in time have come anyway. 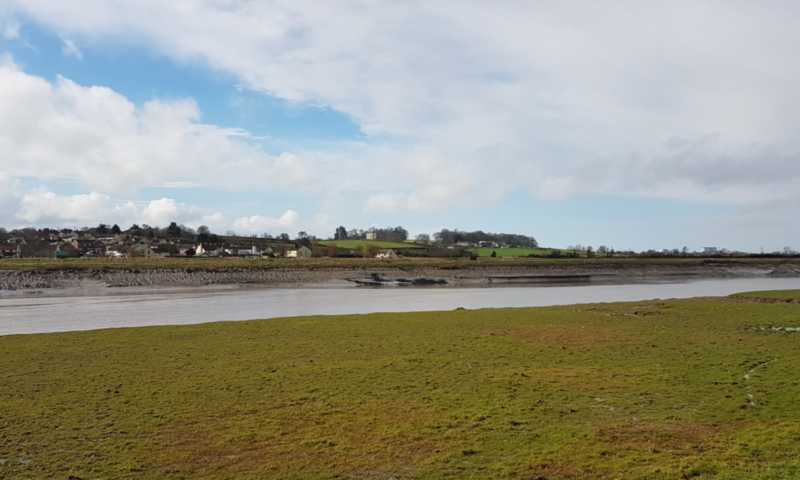 New Infrastructure is always good value but difficult to do cheaply in our crowded and over developed land yet Sedgemoor until recently had everything on a plate, time, available strategic land in the right place and money. Bridgwater Cellophane site (BCL) factory in Bath Road cleared and the old Bridgwater Livestock Market cleared on the other side of the railway provided a unique opportunity to do something constructive with our HPC legacy to the benefit of the local town., its residents, businesses and the economy. Transport and communication is all. Like the Somerset Flood Action Plan that did little more than recognise the EA’s lack of maintenance that had been permitted across the Somerset Levels whilst the EA had previously spent £20M on the Steart Peninsular project; the HPC legacy is more of the same, money is without doubt being squandered in the wrong places. Sedgemoor did it before with the now demolished Splash when it sold the Lido to Morrisons, its decision not to go for a Northern Bridgwater bypass a recent example and not to spend this money strategically and well when you have the opportunity is not a track record to be proud of. Bridgwater over 40 years like most towns has changed. Once our manufacturing sites were spread throughout the town, Clarke’s beside the railway station, Wellworthy in Colley Lane, Gerber in Wembdon, Cryptons in Bristol Road, Van Heusen and Leffmans in Bath Road. The multiple locations and predominance of cycling to get to work meant our road system could quickly absorb and dissipate traffic whether on two or four wheels. Employment and where we live have become divided, employment has largely migrated to the outskirts of town mostly to the north and we mostly live in the south and west with development slowly marching towards North Petherton. If not we have to find our way over one of the inadequate number or river and rail crossings we have. The Railway and the River Parrett dominate how we live.as they divide Bridgwater into a series of strips running north to south. Every day the town get up and has to traverse the Cross Rifles roundabout whether to commute, shop go to school or get to the bus and rail stations largely because of the Bath Road railway bridge. There is no sign of a plan to deal with this problem. In my view two related and not too grand things to improve the town and areas with HPC money could have been done. and still should be pursued. Move the Bridgwater Railway Station north onto the then empty BCL and market sites and include a public foot/cycle path over the railway. 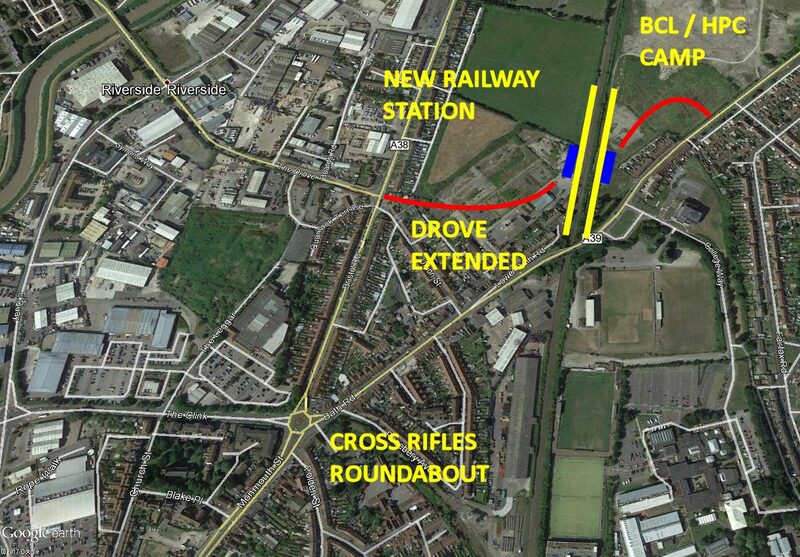 Extend The Drove through to the market site linking the NDR directly to relocated railway station. This would put the railway station near business, the Bridgwater College, The McMillan Theatre and on existing bus routes. HPC workers could have arrived by train directly to the HPC accommodation on Bath Road. Rail would provide a viable alternative to inward commuting. Encourage people going to work in the town to cycle. avoiding the Cross Rifles roundabout. If you cant fix the road at least give people choice of other methods to get to work or to the station. There is no bus link to the existing station. Bridgwater Railway Station is simply of the wrong era has short low platforms and is in the wrong place. It serves nobody at the end of St John Street. Spending money on it is throwing good money after bad. Its time is up. With the delay of HPC starting and the availability of these sites there was plenty of time to ensure the HPC legacy was used to secure long term infrastructure benefits that would generate increased economic activity. Activity that would in turn generate wealth that would have multiplied the HPC money many times over in the generations to come, there is simply no excuse for the lack of vision and competency shown at County and District Level.